Living… in the barn of young Hogarth Hughes, who saves the Giant from devouring an active power plant. To the Giant’s great pleasure, Hogarth soon relocates him to a junkyard belonging to beatnik sculptor Dean McCoppin, where the Giant can feast on all the metal he wants – as long as it's not Dean’s precious sculptures. Visiting… Earth. After crashing from space into the Atlantic Ocean, the Giant lands in Rockwell, a small fishing town in Maine. The year is 1957, and in the paranoia of the Cold War, the Giant is quickly mistaken for an alien invader by locals. Profession… figuring it out. The Giant doesn't know his own origins, much less any job skills. However, he does possess some intriguing powers: not only does the Giant's body repair itself but, when triggered by a perceived threat, it transforms into a walking plasma gun. Dean, though, is more impressed by the Giant’s artistic skills, so perhaps the Giant has a career in art. Relationship Status… single. As the only 100-feet tall iron man in the vicinity, romantic options are a bit scarce for the Giant. Challenge… hiding from the townsfolk and Kent Mansley, a dastardly government agent convinced the Giant is a menace. 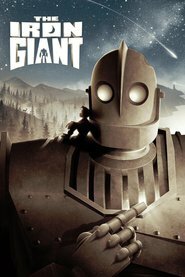 Unfortunately, the Giant doesn’t understand that most people aren’t prepared to deal with a 100-feet tall metal robot: when Hogarth points at Rockwell’s town center and tells him to avoid it, the Giant runs towards it. Personality… ignorant yet inquisitive and benign yet protective. While generally peaceful, the Giant goes into a mindless self-defense mode when threatened. In these moments, the Giant is capable of true destruction – destruction that leaves the Giant ashamed when he comes to his senses. "You are who you choose to be," Hogarth tells the Giant, and what the Giant wants to be, above all else, is good. 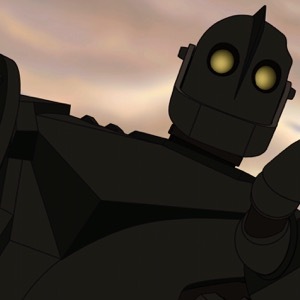 The Iron Giant's popularity ranking on CharacTour is #1375 out of 5,000+ characters. See our top-ranked characters and read their profiles.